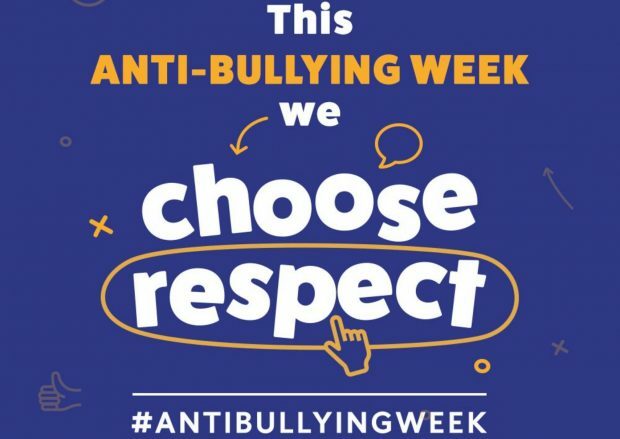 Anti Bullying Week 2018 is happening from 12 - 16 November and the theme this year is ‘Choose Respect’. 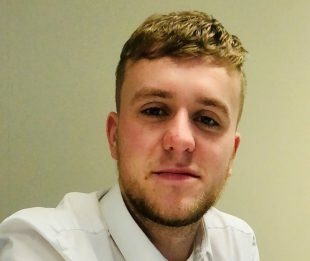 My name is Jamie Duprey and I’m part of the DWP Digital team in Newcastle. With the focus of this year’s Anti Bullying Week being ‘respect’ it was a poignant reminder of a period of bullying I experienced as a child. For me, the real trauma of experiencing bullying was the effect it had on my mental health; I often felt alone and in a dark place that I perceived I’d never get out of. I lost all confidence and socially I withdrew myself. I’ve also witnessed bullying as an adult and I feel that a lot of the time those doing the harassment are not actually aware of the damage it can do to an individual, whether that be physically or mentally. One of the best things about working in the Civil Service is our inclusivity and the policies surrounding diversity and inclusion. The Civil Service has a zero tolerance policy on any form of harassment, bullying and discrimination. Our Diversity and Inclusion Strategy commits us to becoming the UK’s most inclusive employer by 2020. If you’re being harassed, bullied or feel as if someone else’s behaviour is affecting you in a negative way, my first suggestion would be to speak out! In my experience it was better speaking to someone who wasn’t part of that particular situation, so they were able to offer me a fresh perspective and give advice. If you feel able to speak to somebody, starting a conversation can really help you to feel less distant and lonely. And speaking up, whether it be to your family, friends or work colleagues, will show you that there are people will help you and there is a way out. Across the Civil Service we have lots of networks for minority groups. These groups are important because they are a visible example to colleagues who may feel like they are alone, that they are not. Minority groups provide a platform for discussions and education - and educating people is a proactive step in helping them to understand how respect for others can build an anti-bullying culture. People don’t fit into boxes. We all have a number of characteristics that define us: our gender, ethnicity, sexual orientation, religion, caring responsibilities and so on. Bringing together people from across minority networks to support each other and be allies to each other’s causes will help to form a majority stand against issues like discrimination, harassment and bullying. Development an ‘Inclusive Leadership Standard’ to be implemented in 2019. As well as continued cross-government work to ensure an inclusive culture working with Civil Service D&I champions and networks. The ongoing work across departments is great news for everyone, because as civil servants we serve a diverse community. Our workforce should be made up of people from different backgrounds to reflect the society we live in, so we can truly understand them, and their needs. As a final point, if you feel that you or somebody else is being bullied or discriminated against, but that it is being done in a way that is meant to make you feel that they are ‘just having a joke or a laugh’ then this is unacceptable. It’s important that we don’t become bystanders and that we all take a personal responsibility to be an ally for the minority groups around us, to tackle poor behaviour and bullying. Right now, during Anti Bullying week is the perfect time to make that stand. Every single person is different and we all have different coping mechanisms but my advice would be: don’t let something like this take a hold of you and control your happiness. There is a way out and there are various groups who can help you. You can find out more about what's happening in DWP Digital by subscribing to this blog and following us on Twitter @DWPDigital. Visit our DWP Digital careers website and have a look at our LinkedIn page. One million people have used Apply and Maintain Carer’s Allowance: what’s next? Sometimes we think of bullies as angry, loud, aggressive and even ugly individuals. We may think of the person being bullied, as quiet, timid, and weak. Lets just stop right there. Some bully's may fit that description. But I guess what I want you to all think about is... is there a bully among you right now? see's everything as just 'banter' is constant and repetitive in their negative and condescending remarks. Just because they land the comment with a smile doesn't make the bullying any less hurtful. Lets talk about the bully who is a great team player, joins in on all the debates, is very engaging, but who for some reason, singles out an individual to be on the receiving end of their constant negative 'banter' the type of bully who picks opportune moments to drop their negative bombs, usually within a room of influential folk, nearly always with an audience. They want to operate in a way that always seems like they were 'only joking' and they encourage others to join in with their condescending remarks. These are the most difficult types of bully to take action against. They tend to be an all round nice person. And usually they are so far removed from the consequences of their actions. They just think its funny to mock and tease at every opportunity they get... from your time keeping, to what you're eating...to the clothes your wearing. Think! and ensure you stand up to bullying. I know it’s expected that people at my level promote anti-bullying week, and of course look carefully at the results of staff surveys, and act upon those, but in truth its actually something I feel strongly about. I’m encouraging my team to not just look at Jamie’s Blog, but at Sonia Tate’s comments directly below. How many of us can identify with those comments? I can for sure. Great blog Jamie. Thought provoking and challenging - in a good way. Great Blog Jamie. Very inspiring and thought provoking. What a fantastic blog. It's as much a part of our job to be an ally when we witness bullying, as it is to report health and safety hazards in the workplace. Someone else won't report it, so it falls to us. We can sometimes laugh nervously when someone makes an inappropriate comment, but they should be called out. No one should be made to feel uncomfortable about being themselves in the workplace.